Machine learning gives computers the ability to program themselves without explicitly asking command for each and every task given to it. Machine learning develops programs that help the computer to access data, learn it and compute the tasks given accordingly. This helps computers to execute tasks automatically without human intervention. Supervised algorithms require human intervention to provide an input and output whereas unsupervised algorithms do not require humans to provide an input and an output to the machine. This is an iterative approach called Deep Learning that helps the machine to read data and arrive at conclusions all by itself. Machine learning helps you in completing complex tasks that cannot be done easily by humans. Voice feature in your smartphones that recognises your speech and talks to you. Machine Learning can identify sentiment analysis with 83% accuracy on twitter feeds. This knowledge in the hands of a marketer — priceless !! A classic often discussed example of Machine learning is, The Bayesian spam filter developed by computer Scientist and famed Startup Investor Paul Graham. 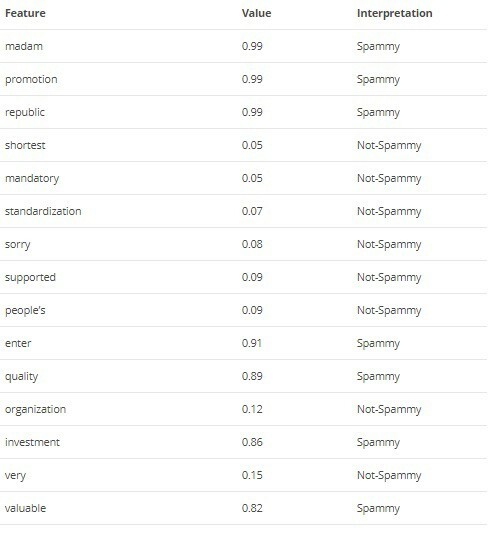 It used ML to identify spam based on certain keywords. Coming to artificial intelligence, it is an umbrella term of machine learning. While artificial intelligence constructs machines that have cognitive power, machine learning constructs algorithms that mines data from a data set and learns from it and reasons according to it. 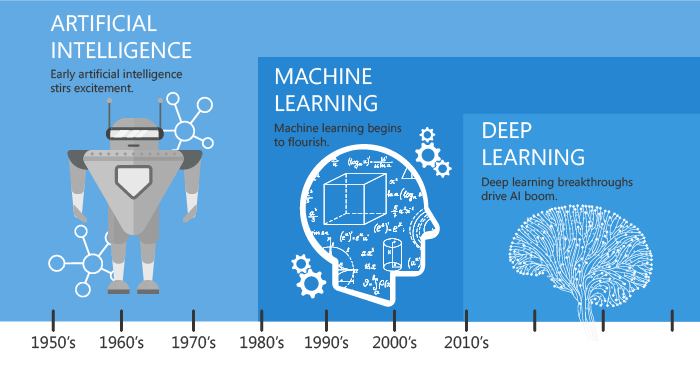 Machine learning factors into the development of AI, as it is an application of AI, which provides the intelligence and learning to the systems. Though machine learning counts as AI, all AI does not count as machine learning as it is far more vast than what machine learning does. AI mimics human intelligence which includes complex features like visual perception, speech recognition, decision-making, and translation between languages. Machine learning and Artificial Intelligence have catalysed the pace of innovation in various fields with heavy data processing and heavy customer interaction. This was made possible with Chatbots for customer service, personalised communication, automatically generated replies for emails and much more. The tool we developed, Alore CRM, also harnesses the power of AI . feel free to sign up for a free trial for educational purposes to tinker around and see how AI is helping revolutionise sales productivity and the difference it makes. It detects and diagnoses diseases in healthcare. AI is also used in the Pharmaceutical Industry to screen drug compounds as well as to determine what drugs work better for individuals based on their Biology. Machine learning involves applying certain logic and deriving results accordingly. It does not bother about the machine thinking intelligently, whereas, artificial intelligence needs the machine to think intelligently and derive solutions. Machine learning and artificial Intelligence will together provide a massive thrust to businesses. 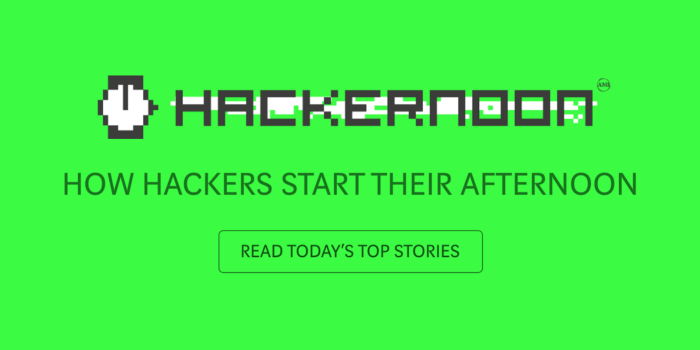 The game has begun but we are yet to exploit the potential these technologies hold. 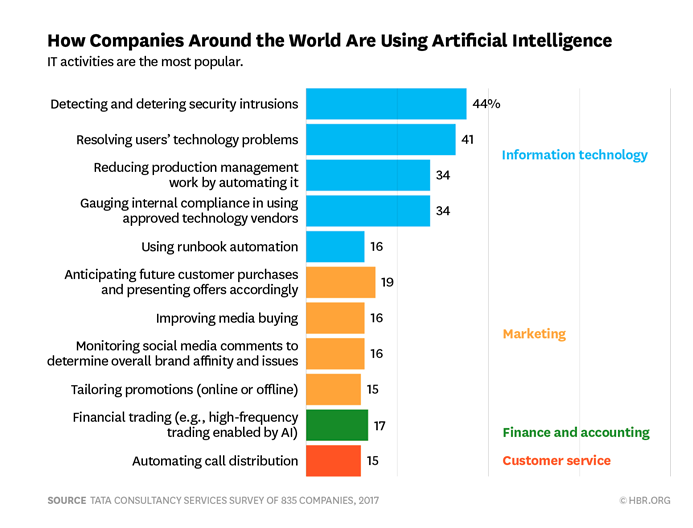 Most companies are yet to adopt AI and ML into everyday business decisions and unless they do so, we’re not really doing much to step into the future. About me: Chief visionary at Alore CRM who breathes his mission of an AI powered productive world. Originally published at blog.alore.io on March 21, 2018. Machine Learning and Artificial Intelligence — What they are to business was originally published in Hacker Noon on Medium, where people are continuing the conversation by highlighting and responding to this story.